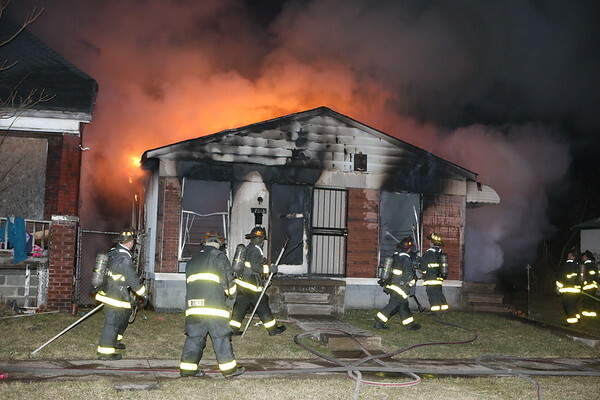 FIRE REPORTED IN A VACANT DWELLING. ON ARRIVAL E34 REPORTED FIRE IN TWO DWELLINGS STRETCHING. CHIEF 7 CAPT ALCALA HAD COMMAND OF THE SCENE. OTHER UNITS ON THE SCENE L22, TMS 4, E39, E42 AND EMS.